Morning all! I put up my Christmas tree yesterday and man I am so loving it! It's red, sparkly, filled with lots of different things so there's plenty to see, and did I already mention sparkly? :D When I was done I was covered in glitter and unfortunately had 2 badly chipped nails as well, booo. So right now I'm rocking the nubbins again, and even though my nails are never crazy long, so short feels quite weird! So today I'll be spoiling my hands and nails with creams and such, no polish or remover, while I'll be cheering on my nails "grow little ones, grow!" :P Felt like a good time to fish a mani from the vault, and there was 1 Shimmer polish left that I hadn't shown yet, so here it is! 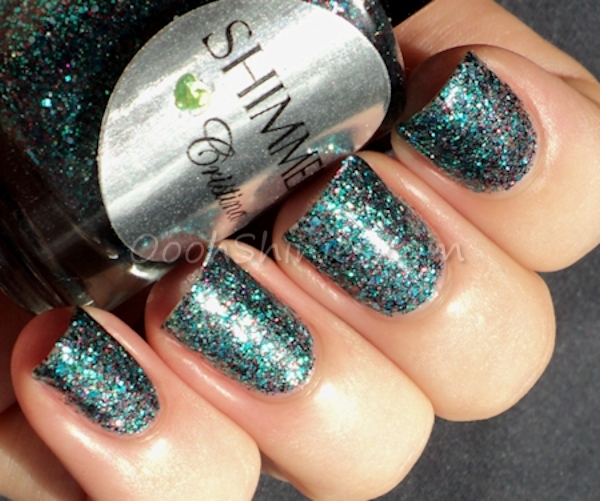 Shimmer Polish Cristina. I'm wearing 3 coats with top coat here. Main colors are green and fuchsia (my pics show it a bit on the blue side), but as usual, there's a lot more going on! 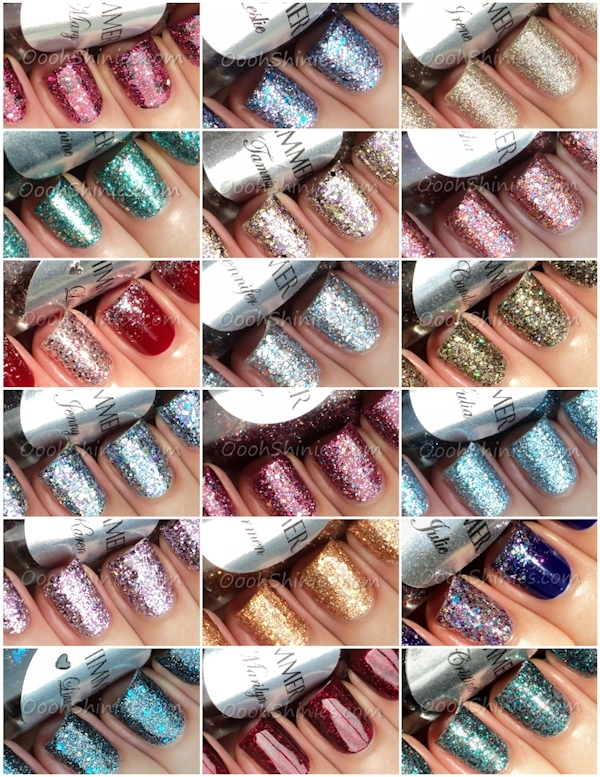 And here are all the Shimmers that I showed on my blog, aren't they gorgeous? :) There's plenty Indie brands working with glitters, but for me, Shimmer is the queen of glitter! You can buy Shimmer Polish on the website or on Etsy.